Despite living in DC for eight years, many of them as a food writer, I had never gone wine tasting in Virginia. As luck would have it, I chose to make my maiden voyage in the midst of a tropical storm, but that doesn't change the fact that in less than an hour, you can be surrounded by rolling hills and lush grape vines. Thanks to the driving rain, we managed a measly two stops before seeking refuge at L'Auberge Provençale (with paw paws!). The storm had knocked the power out at Naked Mountain Winery, but you don't need lights to sip wine, so we bellied up to the bar for a tasting. If you like oak-aged Chardonnay, their 2004 was nice and buttery. We left with bottles of the 2006 unoaked Chardonnay, the 2005 and 2004 oaky Chardonnays, and the 2004 Merlot. Next stop: Linden Vineyards, one of the state's most well known. Since it was such a quiet Saturday, we were offered a guest pass to sit out on the lovely glassed-in porch — usually reserved for those who buy a case per year — and watch the sheets of rain blanket the mountains. After leisurely glasses of the Hardscrabble red and white and a snack of local cheeses on a fresh baguette, we departed with the 2005 Hardscrabble red (my favorite of the day), 2007 Seyval and 2005 Claret. Wine drinker I am, wine writer I am not, so I'll leave it at that. 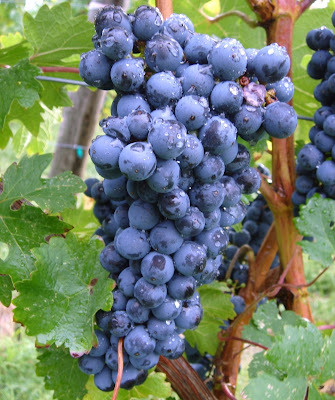 But if you haven't been wine tasting in DC's backyard yet, what are you waiting for? 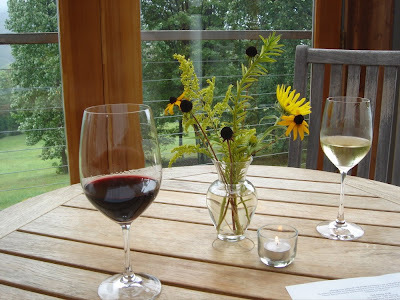 Have a favorite Virginia winery? Let us all know. 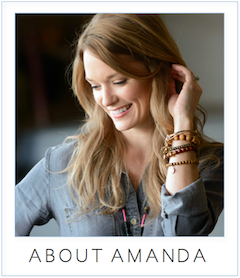 Amanda, I temporarily live in Lovettsville, Va and am surrounded by wineries and farms. Elizabeth and I have definitely toured our share of Virginia Wine Country. We're huge fans of Chrysalis (near Middleburg), and Naked Mountain's deck is a great place to unwind after (or even before) apple picking at Stribling and Hartland Orchards nearby. We're even doing a joint birthday celebration at the annual Grape Stomp event out at Three Fox Vineyards in Delaplane on the 20th. If you're in the Charlottesville area, you should definitely check out Kluge - their sparkling wines are decent, as is their rose, and their tasting room has an amazing selection of cheeses, charcuterie and even some gourmet dishes to accompany their wines. Amanda, I went to Naked Mountain just the other week, after visiting a pick-your-own-fruit place down the road. I like my chardonnay oaky, so I went home with a bottle of the 2004. It's hard for me to narrow down my Virginia wine choices, but the funnest events I've been to are a barrel tasting at Gray Ghost and the annual wine fest on the grounds of Montpelier estate. But I will say that Cooper's Noche chocolate wine is to die for. I've never tasted anything like it. chef4cook: Have you visited any good ones? capitalspice: Really wanted to make it to Chrysalis. I've tasted some of their wines in DC. Definitely want to do a Charlottesville weekend this fall. terri: wow, the chocolate wine sounds interesting. I like Willowcroft in Loudoun Co., good wine and beautiful views. Three Fox is definitely one of my favorites; I was there for my birthday a month ago and loved it. Their patio is really cute and they've got bocce ball, tables that are spaced out across their property, an outdoor sangria bar, and I hear they even have hammocks down by a creek. They may only have port-a-potties but those are the nicest damn port-a-potties I have ever seen! I was just wine tasting in Napa this past weekend and while their wines are generally of higher quality, the atmosphere is way less relaxed, the tastings are way more expensive, and I would say that Virginia's scenery is just as pretty as Napa's. Restaurants Across The Nation Helping Hurricane Victims:The three organizations are coordinating a national outreach effort to chefs, restaurants and diners. OpenTable is recruiting participants from among the 3,500 restaurants using its service and is urging the millions of diners who use to dine at a participating restaurant on September 27th. In addition, OpenTable will donate 100% of any profits associated with the Restaurants for Relief program. Share Our Strength is reaching out to its network of chefs, restaurants and attendees who participate in its annual Taste of the Nation events in 60 cities across the country. Windows of Hope is also reaching out to its network of restaurants, all of which supported the hospitality families who had members lost in the attacks of September 11.